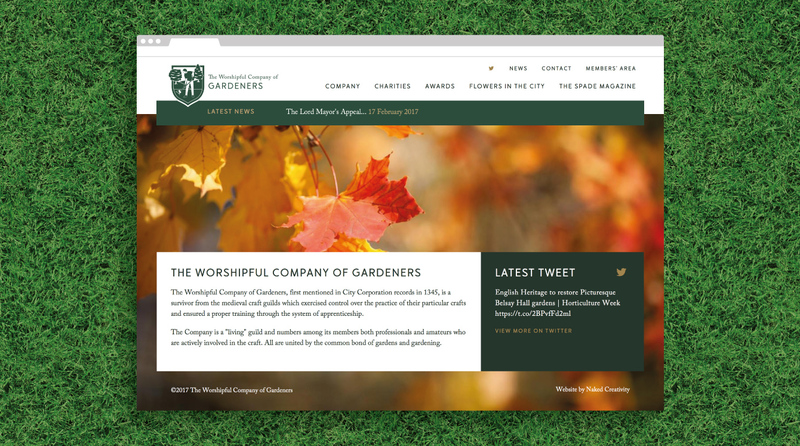 The Worshipful Company of Gardeners is a livery company first mentioned in City Corporation records in 1345. It is a survivor from the medieval craft guilds and numbers among its members both professionals and amateurs who are actively involved in the craft. All are united by the common bond of gardens and gardening. 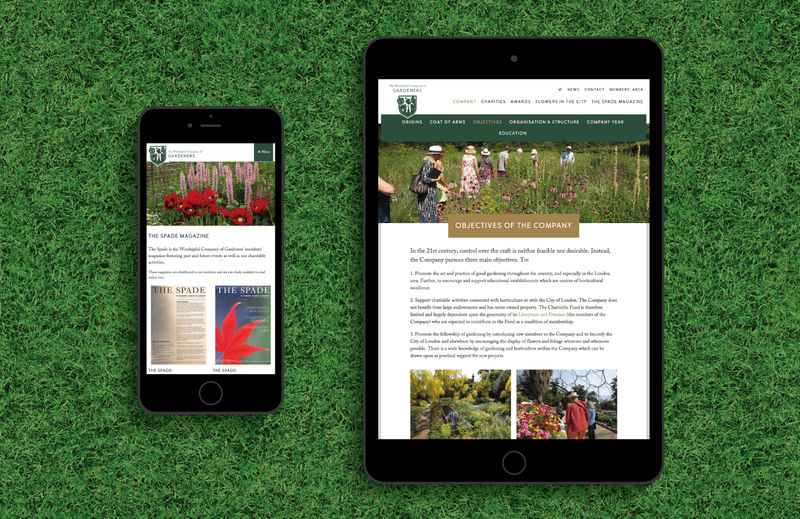 Naked Creativity worked closely with the Gardeners Company to create a refreshed, modern, professional website and members’ area. Alongside this, a new logo was designed that can be used in conjunction with the coat of arms. A range of logo concepts were developed which stemmed from the redrawn coat of arms. These were progressively simplified to create a contemporary logo. 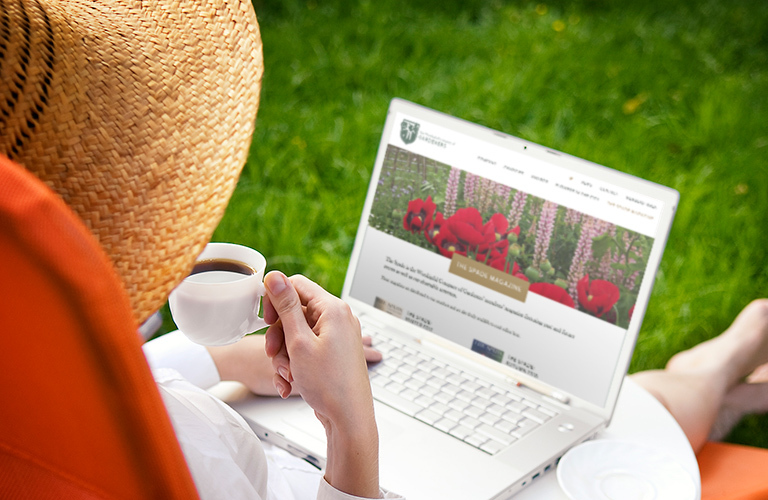 The Gardeners were keen to increase engagement with website visitors through better navigation and content. 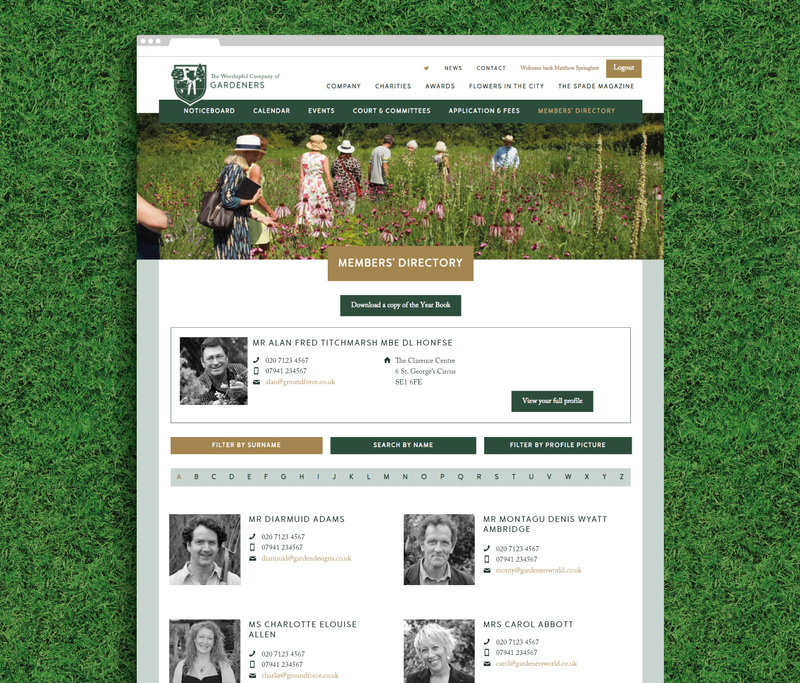 This was achieved along with a simple page layout to keep the content engaging. 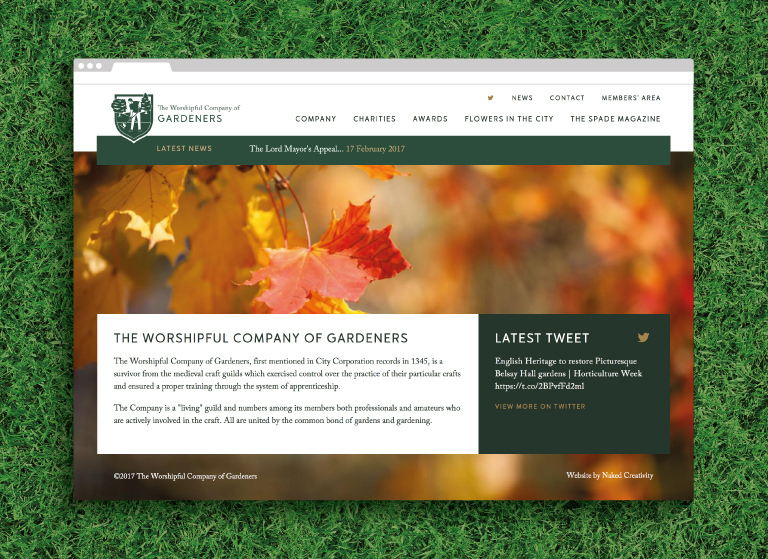 The website is also fully content managed through the Naked Creativity cee.ms, allowing the Gardeners Company to have full access to create and edit content on the website. Like all Naked Creativity websites, the site has a mobile-friendly, responsive design. Naked Creativity also developed a secure members’ area, giving members the ability to view and update their details. The members’ area is managed through the Naked Creativity member administration system Memb.rs. In the members’ area, the company has a noticeboard, company calendar, events, court and committee information and a members directory. Membership is also tracked so that in the Court and Committee section, only members who are part of a committee can view restricted content and important documents. 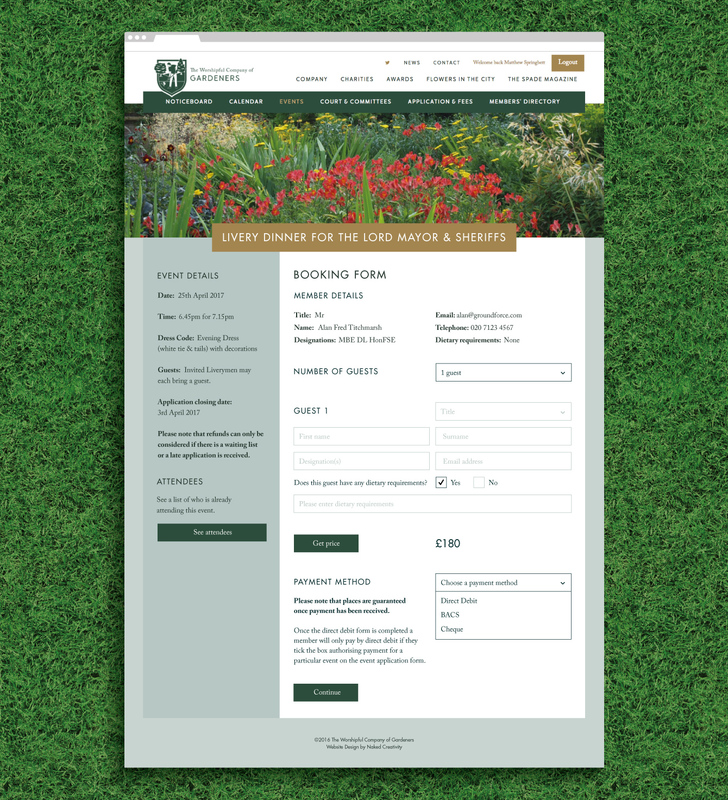 Events are listed with information and a booking form, allowing members to book and pay for these online. 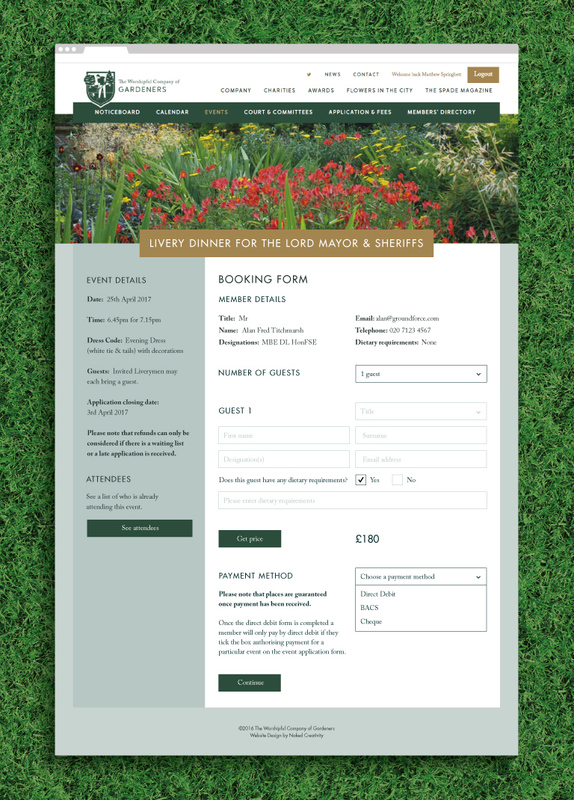 Dietary requirements and guest details can be entered during the booking process and payment made with Direct Debit, BACS and cheque. This seamlessly updates with the company’s accounts system so the Clerk’s records match. 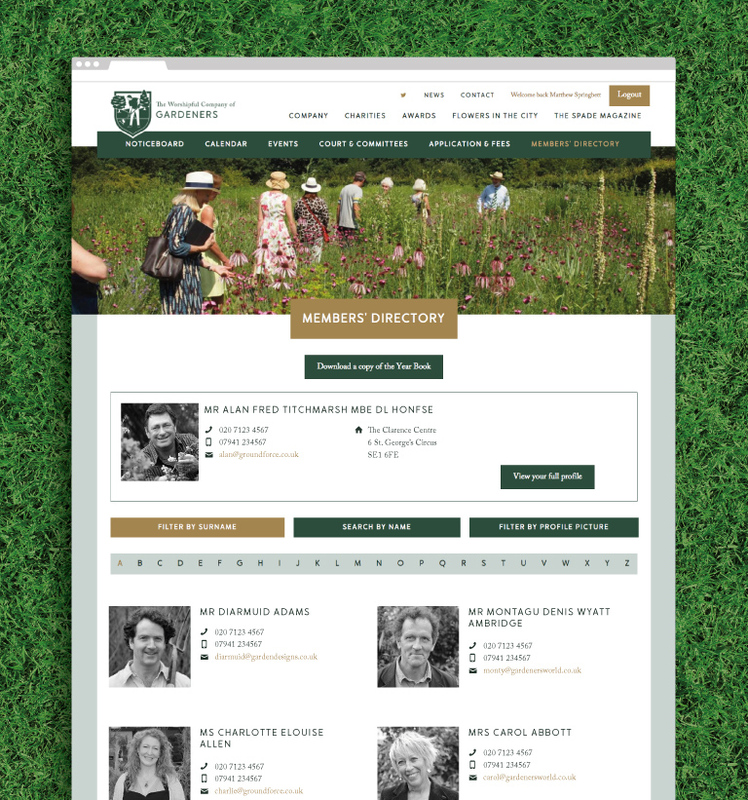 Finally, in the members directory, members can view and edit their profile as well as search for members alphabetically by surname, type in a name or look through profile pictures. The results are displayed for the member to look through then view the relevant profile.